The General Assembly of the Atlantic Arc Commission was held in Les Sables d’Olonne on 2 & 3 March 2017, under the presidency of Bruno Retailleau, President of the Region Pays de la Loire. View the key discussions from the General Assembly on our Twitter account! Photos are also available on the CPMR Flickr. 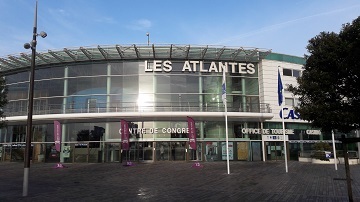 In addition, you can download the Final Declaration “Les Sables d’Olonne 2017”, approved unanimously by the member Regions. For further information, please contact pauline.caumont@crpm.org or catherine.petiau@crpm.org.